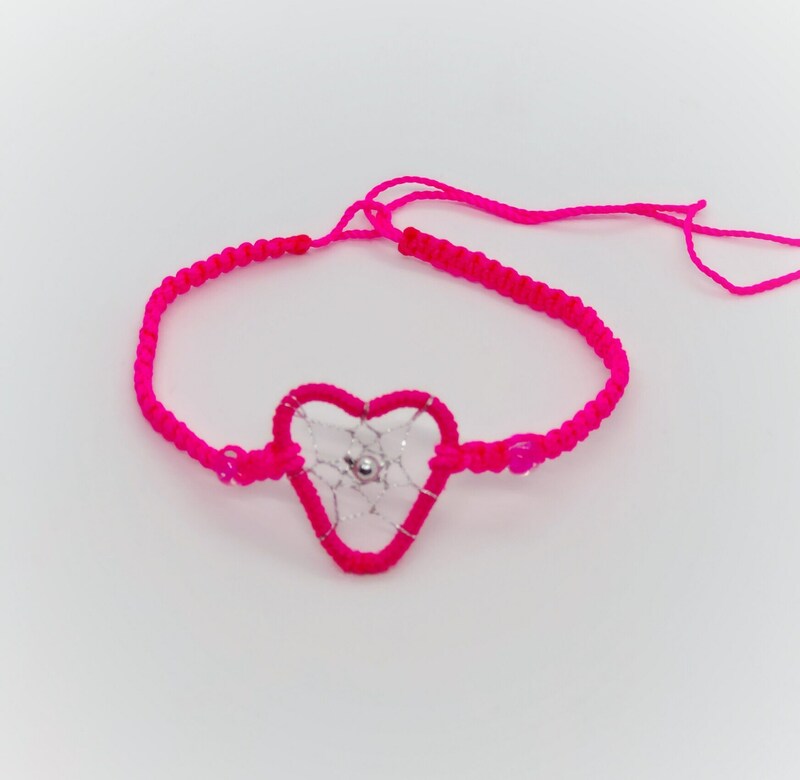 Handmade bright pink dreamcatcher bracelets sold individually. These are made with durable cotton/nylon blend thread in vibrant colors. Adjustable sizing, loop style tie. Dreamcatcher is .75” wide and can fit any size wrist up to 9”.